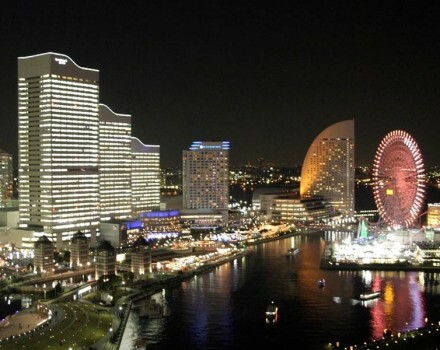 Isezakicho in Yokohama, a retro-flavored town, which will help you experience the good old times. Located directly in front of Yokohama municipal subway Isezaki Chojamachi Station, and 5-minute walk from JR Kannai Station. (Google Map) Our optimal location means we’re the best choice to conduct your business and to visit sightseeing, shopping and night spots. From Shin Yokohama Station of Shinkansen Line or Haneda Air Port, you have a convenient access of 3 lines including Yokohama municipal subway, JR Line and Keihin Kyuko Line. The rooms boast of the most up-to-date facilities and good hospitality with reasonable price. Yokohama Isezakicho Washington Hotel stands along the Odori Park Street, among the lush greenery and provides a convenient, comfortable and tranquil haven amidst the pace of Yokohama’s bustling environment. 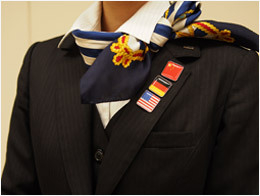 Our hotel reception is run by a multilingual staff with the Batch of the flag related to the language of each country (China, England, etc…) who will assist you throughout your stay. Our team provides you the best service possible to ensure a memorable stay. ※Chances of the absence of multilingual staff may occur sometime.